If you are reading this, it's likely that you or someone you love has been affected by a health condition, and you know what it feels like to live with the painful uncertainty of what may lie ahead. Minutes after she was born, the nurses took Roya for some basic checks of temperature and a heel prick. Her blood sugar was low, and they told us they’d take her to the Neonatal Intensive Care Unit (NICU) for a few hours, and then bring her back to us. 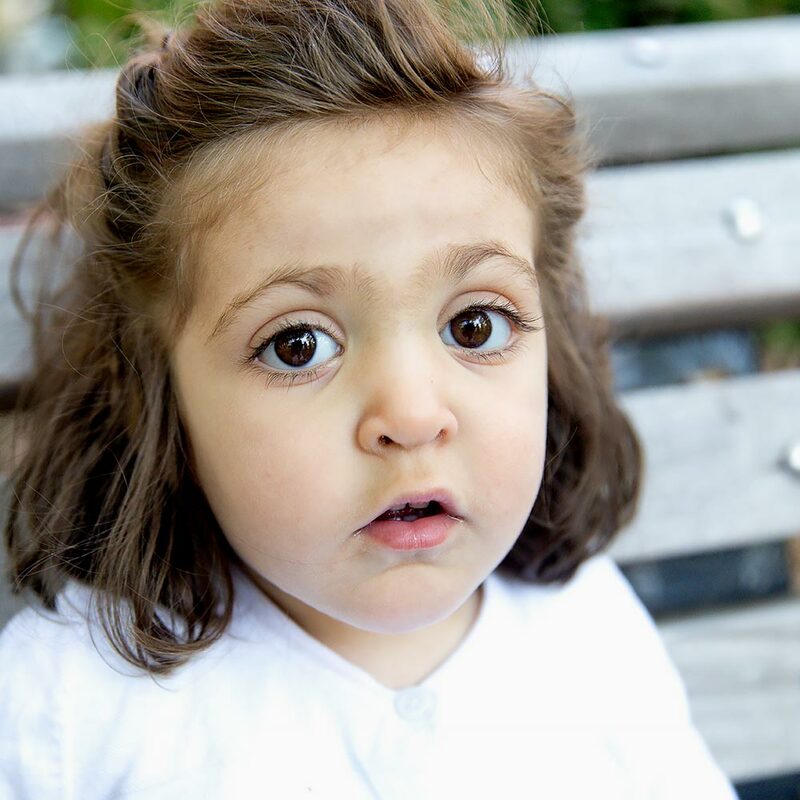 Hours turned into days, which turned into weeks… Roya was in the NICU, hooked up to wires and tubes that were feeding her and ensuring her glucose remained at a safe level, with us staying across the hall in a fold out-bed. After a month in the hospital, the doctors had managed to stabilise Roya, and we took her home with a feeding tube in her nose connected to her stomach. Countless doctors appointments and hospitalisations later, nobody had any answers, and it was excruciating for all of us. After months of looking for answers, we were introduced to Boston Children’s Hospital. They immediately ran extensive genetic testing, which finally revealed a root cause: a rare genetic mutation called Kabuki Syndrome. Her diagnosis was very hard on us as parents, in part because the condition was so rare that there was very little known about the disease. Pouring over internet reading just left us more anxious about her future and all the unknowns and uncertainties around how she would develop. But we made a vow to each other and to Roya that we would never stop fighting for her, and that we would be beside her and behind her every step of the way. Roya has taught us a great number of things in the few years since she was born. And paramount amongst those gifts she’s given us is the extraordinary opportunity to give back. We decided to find and fund the greatest minds at the greatest paediatric medical and research institution in the world, and to work towards finding a cure for Kabuki Syndrome, and rare diseases like it. We launched The Roya Kabuki Initiative at Boston Children’s Hospital in the Summer of 2017 with an ambitious goal: to find a treatment, and ultimately a cure, for Kabuki Syndrome. Our hope is that the ground-breaking research, and the methodology that our formidable team of researchers, geneticists, and physicians are applying, can be used as a foundation for rare disease research more broadly in the years to come. One last note. Despite all the struggles, all the tears, and all the heartache we have experienced as a family in these last few years, we are emerging stronger, more resilient, and more grateful than ever before. We are profoundly changed for the better. Our little Roya has taught us about love, about vulnerability, about strength, and about hope. We ask that you join us, and join Roya, on this mission to give every child the chance to reach their full potential and live a full and healthy life.